Amazon今天deal of the day推出 各式首飾(共5頁)特價up to 40% off, 免運費. 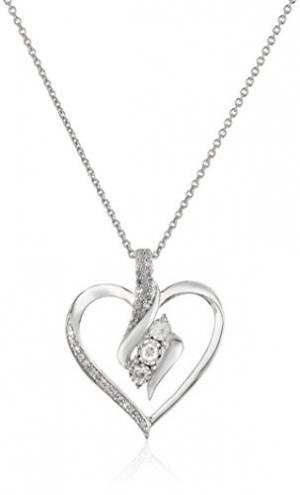 像是 Sterling Silver Diamond 3 Stone Heart Pendant Necklace (1/4 克拉 – 總重), 18″ 純銀鑽石項鍊 原價 $99.99, 特價 $69.99, 節省 $30(30% Off), 免運費! !